BOGDARNYA, RUSSIA—Working frantically to gain access to the system’s override settings at the computer terminal controlling the impending implosion, Secretary of State John Kerry scrambled to stop the self-destruct sequence of an underground bunker located thousands of feet below the Russian countryside Tuesday while oligarch Dmitry Granovsky taunted him from the numerous banks of monitors positioned throughout the facility, sources confirmed. “It appears your time with us is almost up, Mr. Kerry,” Granovsky reportedly stated from the safety and comfort of a tufted leather chair in his faraway estate as dozens of identical images of his sneering face peered down at Kerry from all angles while the sweating U.S. cabinet official pried off the computer terminal’s housing in one final attempt to disable the mechanism. “It’s over, Mr. Secretary. 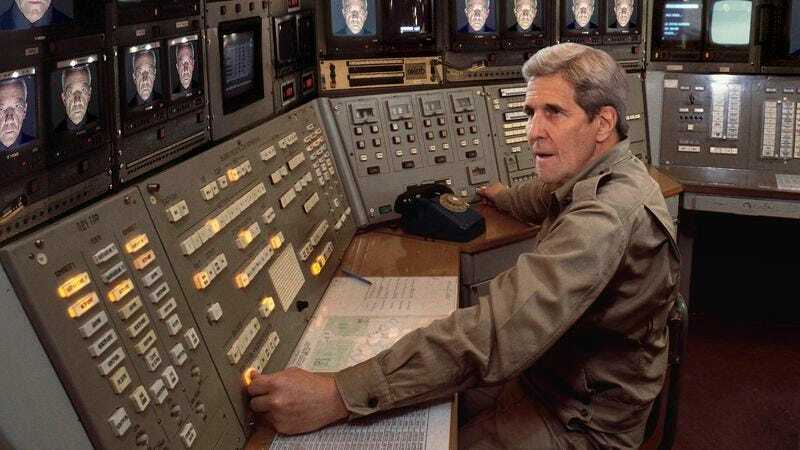 I’m afraid there’s no escape this time.” Sources confirmed that with one second remaining before detonation, Kerry closed his eyes, clenched his teeth, and severed an exposed green wire.